ALU ZINC spray is a fast drying agent that provides excellent corrosion protection for all metal parts and structures. 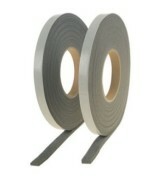 It is used for protection and repair of damaged galvanized elements, welded and cut areas. It is characterized by excellent adhesion to most metal surfaces. Resistant to high temperatures.